I seriously have looked all over the internet and researched this for endless hours to no prevail. So please could you make some program or give me some workouts or information about increasing vertical jumping. I play basketball and I seriously want to make a college team and a high vertical will help me greatly. Thank you! You need more power. That means that you have to increase the rate of force development, so you get higher power output quicker, allowing you to jump higher. 1) Maximal Strength training. Max effort work is increasing your absolute strength, which goes straigth in correlation with power output, atleast for some time. The stronger you get, the more power you produce in a shorter timeframe. Simple, yes? Do heavy squatting (1-5 reps). 2) Dynamic Strength training (aka explosive). This is to enhance your RFD. Doing explosive exercises like Cleans, Snatches and KB Swings are one way. Or then use Squats and Deadlifts with ligth resistance, low reps and many sets But you always have to put 100% effort to the rep, even while the weigth is around 50-75% of your 1RM. That means that you should do the reps as quickly and explosively as you possibly can. Around 2-3 reps for 6-10 sets. 3) Plyometrics (aka jumping). This is a given. You get better at jumping, by jumping. You can use different protocols tho. Drop jumps/depth jumps have been awesome to create more RFD, since they have an eccentric overload attached on the movement. They are very hard on the nervous system, so I advice to do those for 3-4 weeks max. Then there are box jumps, weighted or bodyweight. And pretty much every other jump you can imagine. Do those for 2-3 times a week for something like 3 reps and 3-5 sets. 4) Lose unnecessary bodyfat. Well, this is a given. More fat is more weigth to carry. ... provided you have a solid base in strength and endurance, you should train sport-specific as much as you can... Too much strength and endurance training can make you slower. You should do Intervall Training (or High-Intensity Intervall Training) and Plyometric exercises (Jumps) as well. Unfortunately you don`t write anything about your age or you actual training schedule... so you should be careful not to interfere with your actual training (season or off-season?). Make sure, you get sufficient time for recovery. Plyometrics shouldn`t be done with pre-pubescent children and always monitored carefully. Crow wrote: ... provided you have a solid base in strength and endurance, you should train sport-specific as much as you can... Too much strength and endurance training can make you slower. What? 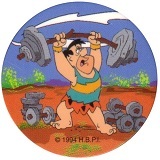 I understand how endurance training isn't helping, but how can too much strength training make you slowe? (Counting out elite athletes with a lot of years of solid training background). I don't agree on this one. PLUS, I think sprints serve better for the purpose than Intervals. Strength, if done correctly, with explosive concentrics and not Slow Burn style, will make you faster and more explosive. However, there is a point where the training for strength becomes so extensive that it detracts from more specific training that can have a greater impact. For most people asking a question about increasing vertical jump, strength training is essential. As you recommended... power-training (or speed-training) would help more than other forms of strength-training (when there is a solid base). Yeah, the muscle fibers do explain the endurance training. But you still didn't say why would strength training make you slower. Okay, I think there is a little language barrier between us. What I meant was interval training designed to improve your endurance and VO2Max etc. Like doing high effort work with small rests and with high volume (running for 20-60s, resting 40-120s, repeating 10-20 times.). With sprints I mean explosive, very short runs (15-20m, a couple of seconds), with several minutes of rest between. Maximal effort sprints with full rest. That is one way to develop force production as well. I like to think that Explosiveness and RFD should be developed without fatique (good rest, no grinding), because when you fatique, it's no longer your maximal effort, and there begins to be problems in other places than muscle fibers as well (take oxygen intake and energy metabolism for two). I think it's a totally different thing to train power when fatiqued. It depends on how fast you do your reps... If you are doing them rather slow, it will make you slower. If you are doing them fast (like the power-training you suggested), it won`t make you slower. could this be why so many first time posters do not return ? part of me is screaming Shut The - Heck - Up !!!!! AirAlex29 wrote: I seriously have looked all over the internet and researched this for endless hours to no prevail. So please could you make some program or give me some workouts or information about increasing vertical jumping. I play basketball and I seriously want to make a college team and a high vertical will help me greatly. Thank you! Alex--Thanks for posting on the forum! I'm sorry that instead of providing a good answer for you, this has degenerated into an internal argument. First of all, it would be good to know a bit more about you--how old, how tall, how heavy, how much and what kind of training experience. Then it would be good to know what you're doing now for training, what sports are you doing at the moment. The basic answer to your question is two-part. First that you need to train for general strength (and, no, training for strength won't slow you down, unless you deliberately train slowly). So a good program appropriate for your level of training experience, done faithfully and consistently over time and involving balanced training for the whole body (not just the legs). And like Stu said, all lifting should be done "explosively". That means that every rep should be done a fast as you can. Of course, the heavier the load, the slower the actual movement, but every lift should be done with attitude. Second, if you want to jump better, your training should involve jumping. Box jumps, hurdle jumps, long jumps. Body weight and weighted. Test yourself every few weeks for progress. Thanks again for posting. Let us know what you think, and keep us informed about your progress. Dub and Crow! C'mon guys. You've gotten bogged down arguing about things that aren't very important, and neither of you is being very clear. The kid wants to jump higher. He needs to be strong, and he needs to jump. There is no practical difference between sprints and intervals. Kids are made of rubber, they're made for plyometrics. They do it as play. It's older people that have to be careful. you hear that rule about not making kids do plyometrics quite a lot on t'internet. Never made any sense to me. Kids run and jump off stuff all the time. Only difference with plyos is it's in a laboratory setting instead of the real world. The only problem with kids and plyometrics I have noticed is the lack of jumping and/or landing technique. Lots of knee valgus, no hip use, otherwise poor posture sometimes. Nowadays when kids just don't play games anymore, it has gotten more visible. Now they play sports. And not too many sports have lots jumping in them. But, if you teach the technique, no problem. Kids learn anything. I agree with with Oscar, Jungledoc, and Stu. That said I think some people just post because their search did not give them an answer. Once they have their answer, they don't really post anymore. It increase the knowledge archived in the forum and generates discussion though. So we benefit from it as well.